The inspiration for this Boho Kimono Dress came from a maxi dress at Free People. It's a bohemian, comfortable dress with a high waistline to accommodate a growing pregnant belly. 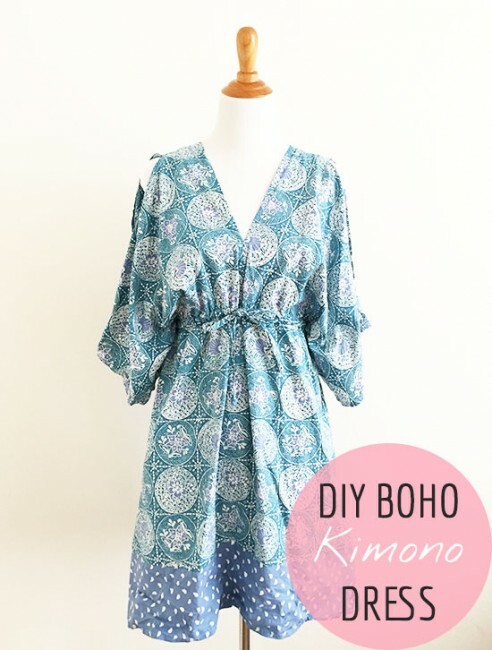 More details and the Boho Kimono Dress tutorial here.